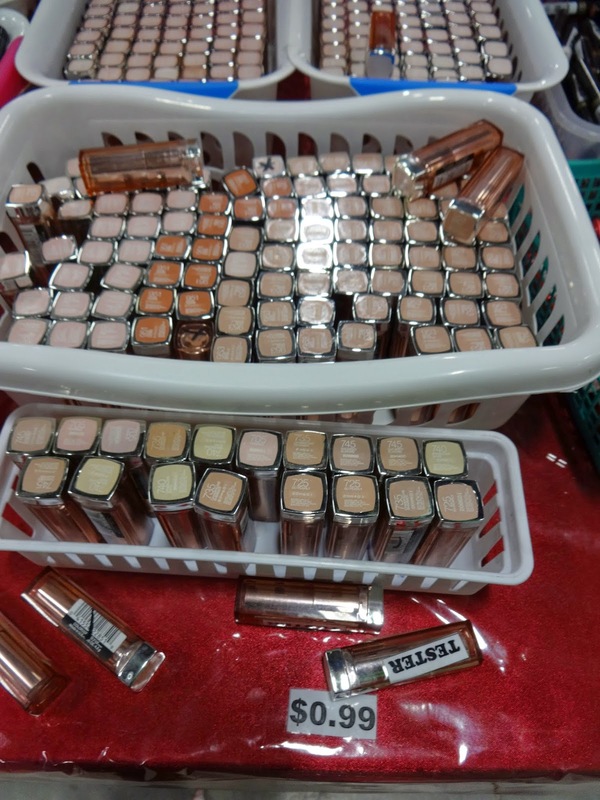 I stumbled upon a cosmetics warehouse sale a little while ago, so here are some pictures from inside the warehouse, as well as my haul. I went to the Cosmetics Warehouse and Perfumery’s Markham location (I believe they have 5 locations), and I was pleasantly surprised. They sold mostly makeup, as well as toiletries, beddings, purses, jewelry, and more. 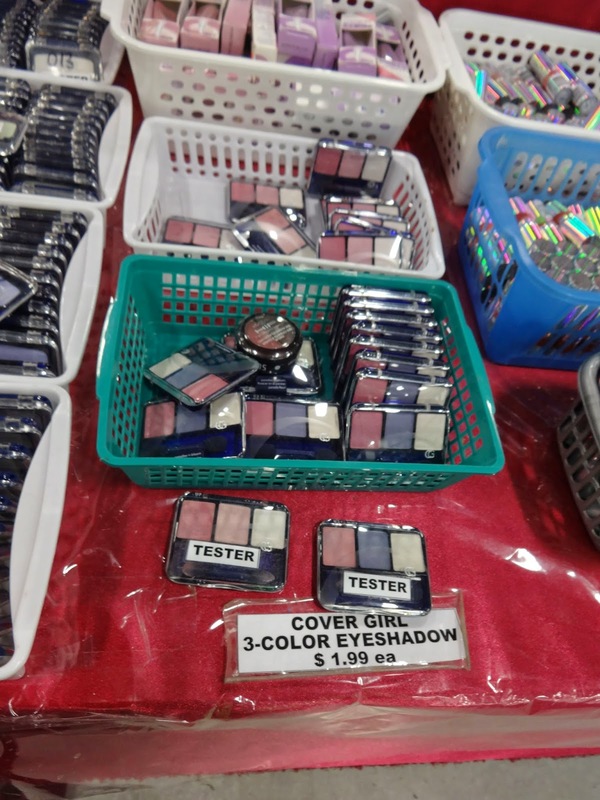 The makeup selection was somewhat smaller than the other warehouse sales I attend, but the prices were good, and they carried a lot of discontinued items. So if you have a favourite beauty item that was discontinued a while ago, they might still have it. As far as brands, they carried Rimmel, Maybelline, Covergirl, Kleancolor, Nina Ultra Pro, Revlon, Neutrogena, and more that are slipping my mind right now. L-R: Rimmel Special Eyes Duo Eye Shadow in “Orchid”, “Heatwave”, and “Walnut Pearls”. 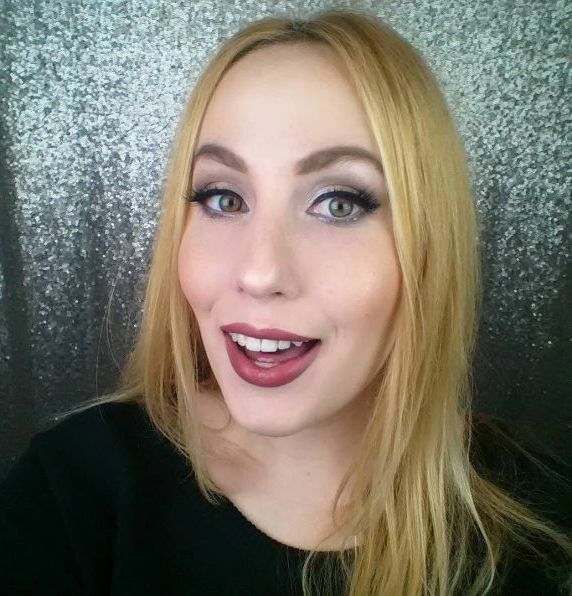 Top: Maybelline Lip Express Lipstick ‘N Liner In One in “Get Mauvin”. Bottom: Covergirl Eyeslicks Gel EyeColor in “Shimmering Pebble”. Maybelline ColorSensational Lipstick in “Pink Beam”. 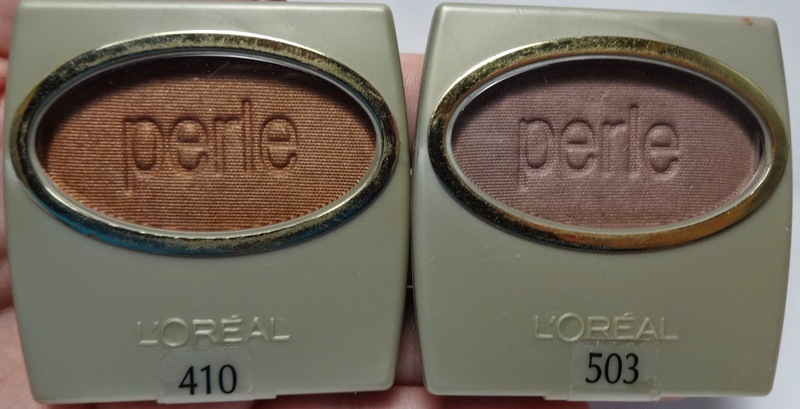 L-R: L’Oreal Wear Infinite eye shadow single in “Copper Penny”, and “Sparkling Rose”. L-R: L’Oreal Wear Infinite eye shadow duo in “Lilac Seduction”, and Maybelline ExpertWear eyeshadow in “Rose Tints”. Many of the eyeshadows were priced between $1-$2, there were sales on multiples, and some lipsticks were 99 cents. 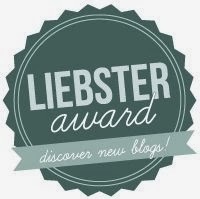 Definitely something worth checking out if you are passing any of their locations. Check out their website for a weekly sale ad, and more detailed information. I would go for the Maybelline lipsticks alone!